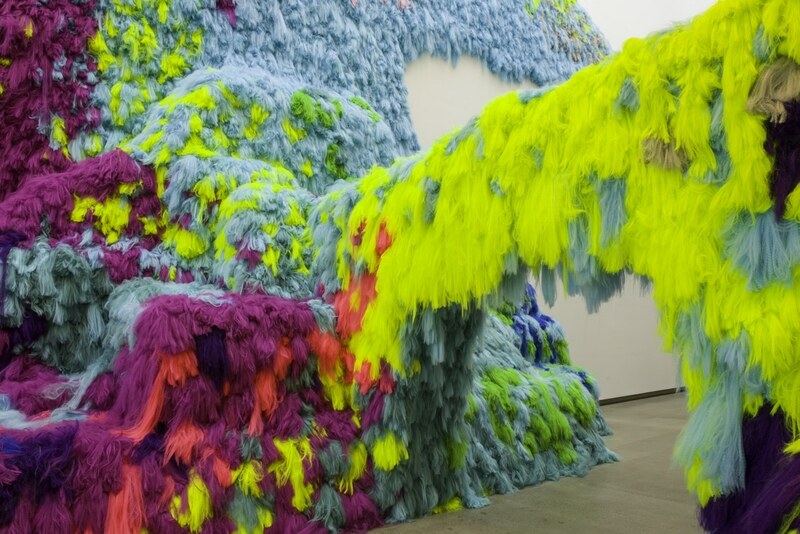 Travel-photos – Sig Nordal, Jr.
Icelandic artist Hrafnhildur Arnardóttir, also known as Shoplifter, uses something unusual to create her colorful art installations—hair. 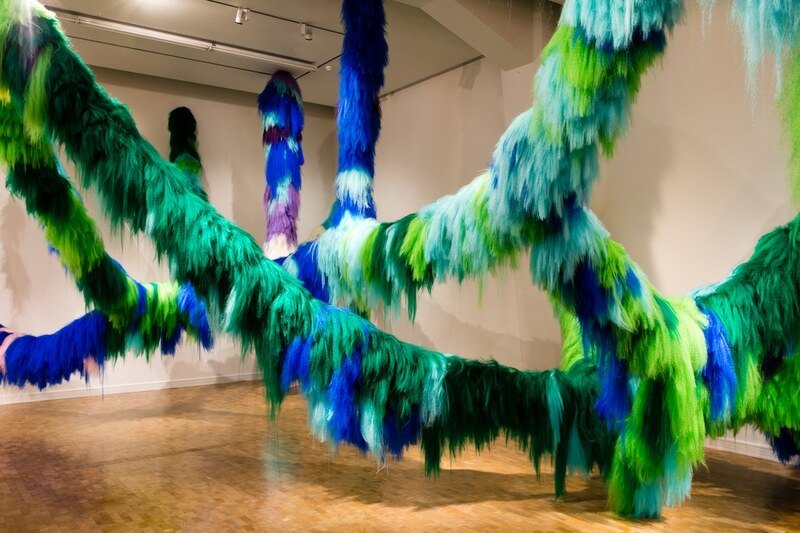 Using both synthetic and real hair, she creates giant fantasy landscapes and sculptures that are at once whimsical and mesmerizing. 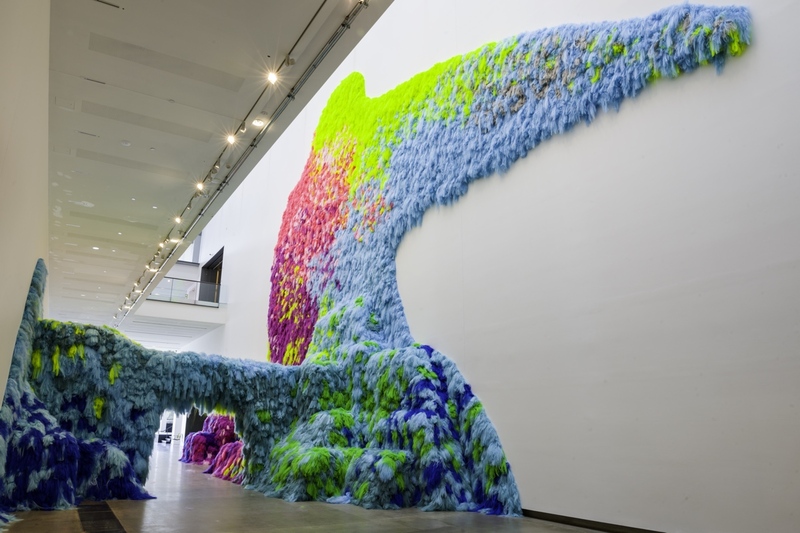 Braided, molded, brushed, and even melted, hair is layered together to create dynamic artwork that radiates energy. Shoplifter, who has collaborated with Björk in the past, brings whimsy and humor to her work. 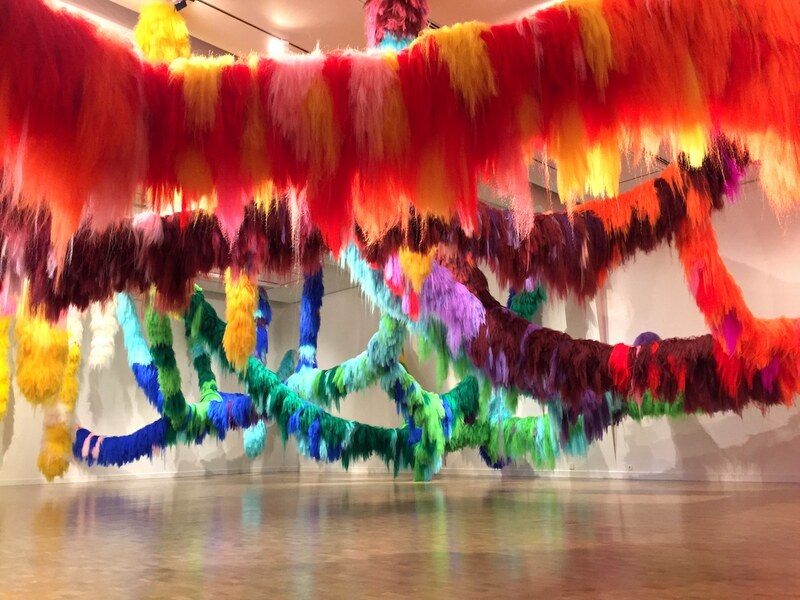 Her large-scale Nervescape installations see vibrant tufts of hair used to create an environment that she hopes embraces visitors. Seeing the work as a world of imaginary nerve endings, for Shoplifter the pieces are both a reflection of our internal landscape and also a fantasy meant to provide a means of escape. This playfulness is a call to remember our youth and to push positive energy into the world. Big opportunities continue to come Shoplifter’s way. In 2019, she will represent Iceland in the Venice Biennale. The world will be waiting anxiously to see what she creates given this huge international platform. 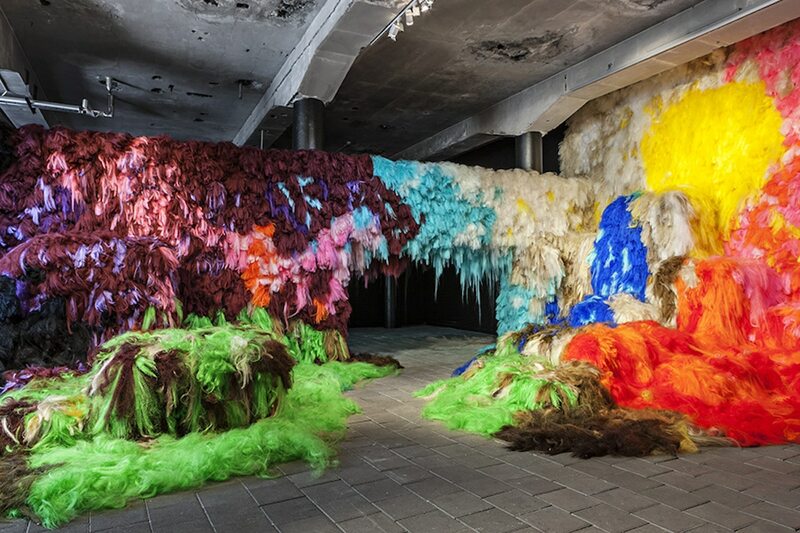 Hrafnhildur Arnardóttir, also known as Shoplifter, is an Icelandic installation artist who uses real and synthetic hair as her primary medium. “Nervescape VII,” 2017. National Gallery of Iceland. (Photo: Frosti Gnarr). 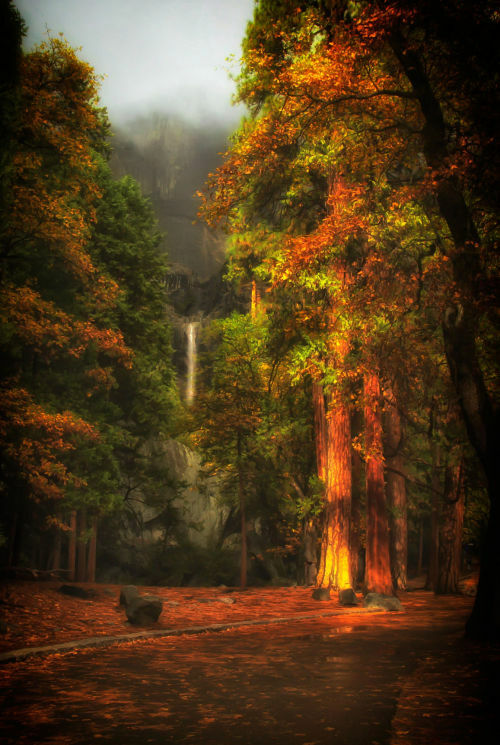 “Nervescape IV,” 2015. Nordic Biennial. Learn more about Shoplifter’s creative philosophy in this 2016 video. 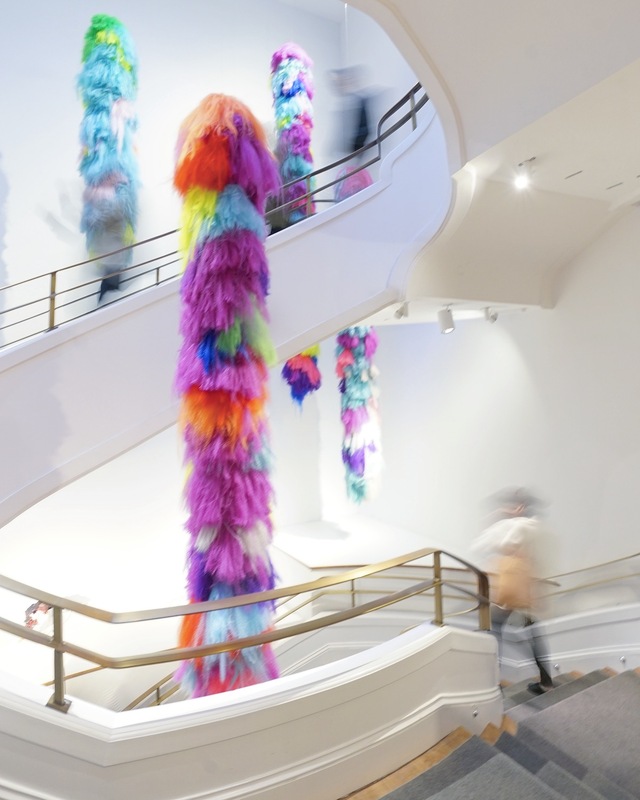 My Modern Met granted permission to use photos by Hrafnhildur Arnardóttir/Shoplifter. 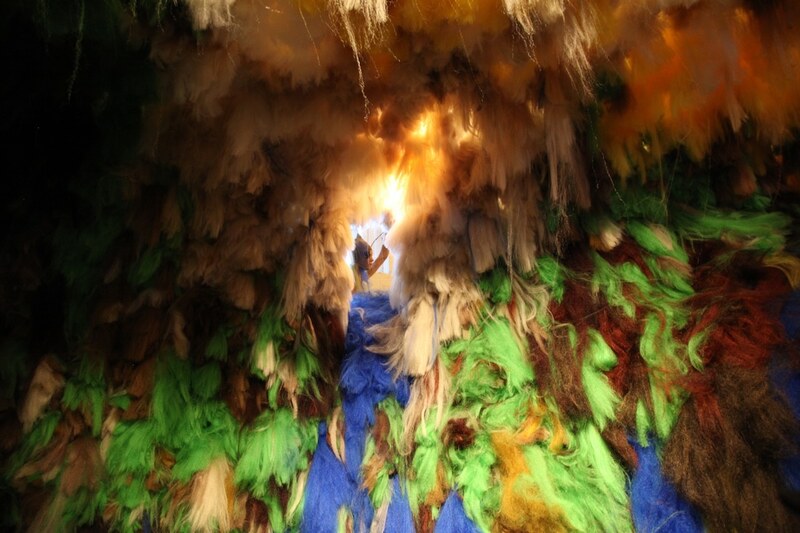 The post Icelandic Artist Creates Colorful Immersive Art Installations Using Hair appeared first on My Modern Met. We’ve seen Italian towns get creative with how they attract new residents, whether it’s using street art to bring in tourists or giving away free castles. But if that doesn’t catch your eye, how about a little cash? 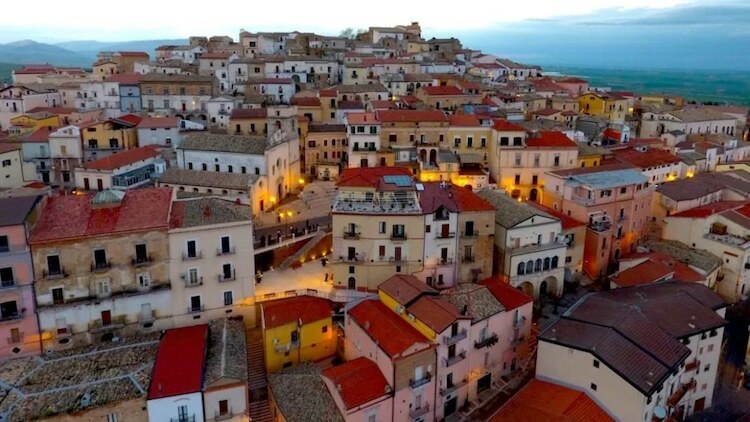 The southern Italian town of Candela is offering up just that—€2,000 (about $2,300) for anyone that takes up residence. With this new initiative, mayor Nicola Gatta hopes to bring Candela back to its glory years during the 1990s, when the town boasted a population of 8,000. With only 2,700 residents left, Gatta decided to get creative in attracting newcomers to town. The medieval town is located in Puglia, just an hour’s drive from pristine beaches, and surrounded by lush green hills and forest. Since pitching the monetary incentive, which began in 2016, 38 residents have moved into town, bumping up the population and instilling hope that the area can reserve its fortunes. “This is how it works: €800 for singles, €1,200 for couples, €1,500 to €1,800 for three-member families, and over €2,000 ($2,300) for families of four to five people,” shares Stefano Bascianelli, the assistant mayor. They are also evaluating possible tax credits for waste disposal, bills, and elementary schools. Of course, Candela is looking for people to make the town their permanent home, so if you wish to benefit from the cash incentive, you’ll need to meet a few requirements. To qualify, you must be registered as a resident for a full year, rent or purchase a home, and work a job that pays at least €7,500 a year. And, in a move to safeguard against stealing residents from other small towns, you must relocate from a town of at least 2,000 inhabitants. With plenty of empty houses to choose from, there’s no shortage of real estate in Candela and its location—it’s just under two hours from Naples—gives the best of city and sea. The community is also quite active, promoting its newly restored center with guided tours of palaces and hosting a number of festivals throughout the year. Each year a flower festival sees the streets covered with vibrant flower petal puzzles and during the holiday season the colorful House of Santa Claus pays tribute to Saint Nicholas, who inspired the legend. And, of course, there is the food. From a summer festival celebrating orecchiette—Puglia’s famous ear-shaped pasta—to town-hosted wine and food tastings, what more could you ask for? The post Want to Live in Italy? The Town of Candela Will Pay You to Move There appeared first on My Modern Met. In Punakaiki, New Zealand, blogger Ann-Christine captures the otherworldly beauty of the iconic Pancake Rocks, composed of layers-upon-layers of limestone and sandstone. See also my gallery “Müstair – Walks”. – My own pictures from my walks between the saisons in March 2013.